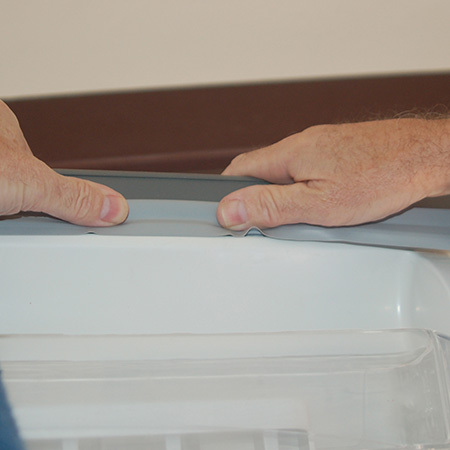 The final step in restoring my refrigerator is to replace the door seal, and you can see how easy it is to replace the fridge door gasket in the step-by-step below. 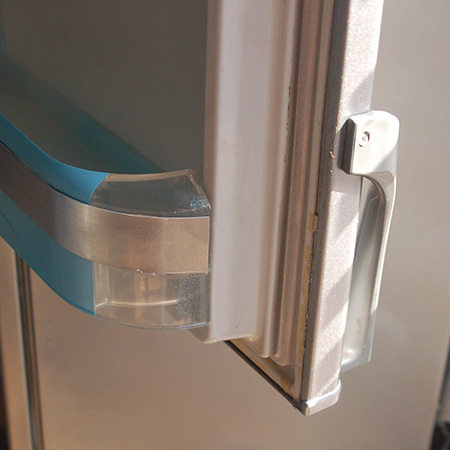 ABOVE: The seal or gasket around the fridge door has lost its shape and no longer effectively seals the door. So, after painting the outside of my refrigerator (find instructions here), and fixing up the broken plastic door insert and crisper drawers (find instructions here), it was finally time to replace the door gasket. I didn't realise how easy this would be and the new door gasket only cost R500 for a brand new gasket. The price of the gasket will differ from brand to brand, and my refrigerator is a Defy brand. 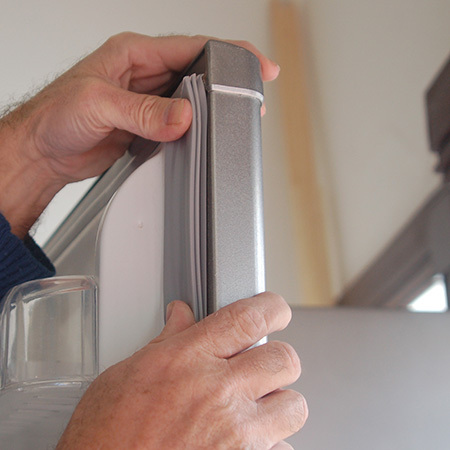 However, when you compare the cost to replace a refrigerator, and especially a large model, you will see that the repairs cost a fraction of what it would cost to buy new. GOOD TO KNOW: We managed to buy a new seal from Bergen's Appliance Repairs (they have branches around the country). Alternatively, search online for fridge door gasket by model to find your nearest appliance repair store. 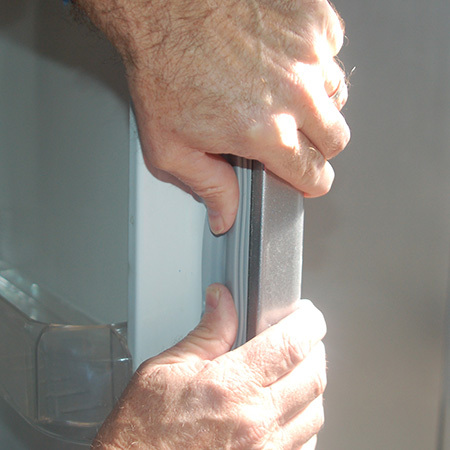 ABOVE and BELOW: The old fridge door seal is pulled off with ease. To remove the seal all you have to do is pull it away from the door. On some models the seal is simply pushed around the door frame, on others there are some clips that need to be released. I have included videos below for different brands of refrigerator to help you, but there are plenty on You Tube if you don't find what you need. 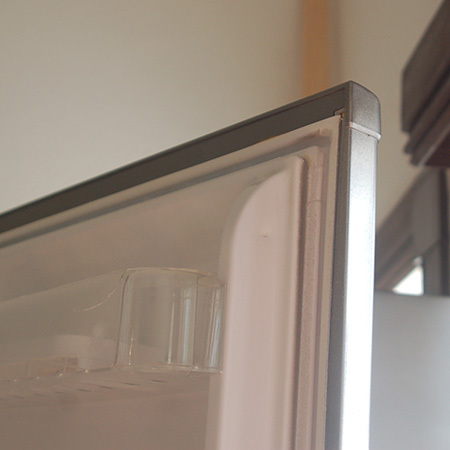 To replace the gasket around the fridge door, start at the top and push the gasket into place. Start at one corner and work your way around the door. Work from one corner to the opposite top corner, pressing the gasket in place as you go. You should feel the gasket click into place. Press the gasket firmly in place down the sides and around the bottom edge. For my particular fridge, that's all that was required. As mentioned above, the process does differ from brand to brand, and you will find the videos below helpful with your particular model. In the first video below you will see the process we followed to replace the door gasket. In the second video, the gasket is held in place with a gasket retainer (LG model) that is fitted to certain brands.